A tiara is a woman’s ornamental headdress typically worn for formal occasions or pageants. At times, these headpieces are used like crowns to signify royal status and political importance. 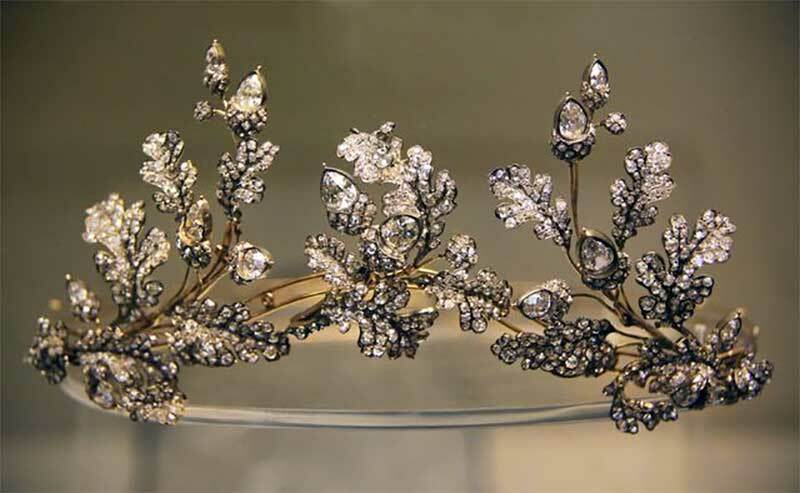 There are a variety of terms to describe tiaras, each discerning a particular style or meaning. Diadem, coronet, bandeau, circlet, and crown are common types of tiaras that help define size and shape. 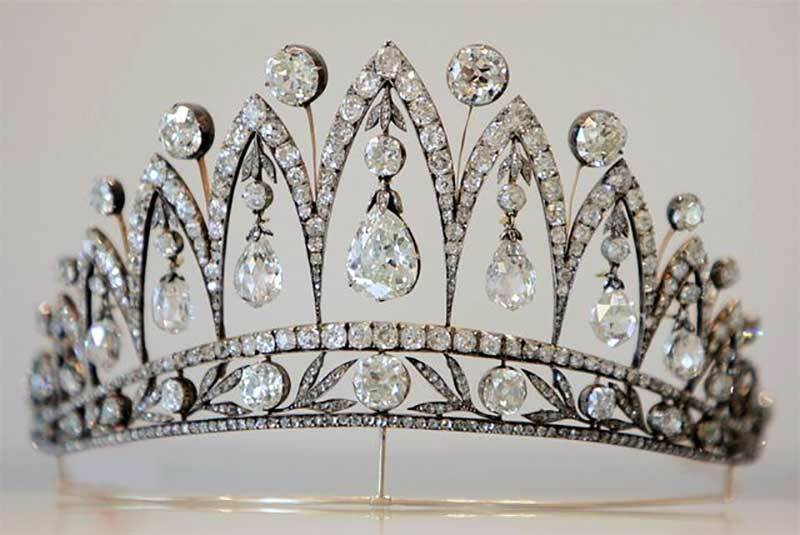 To learn more about these iconic headpieces, explore the following 15 antique diamond tiaras. 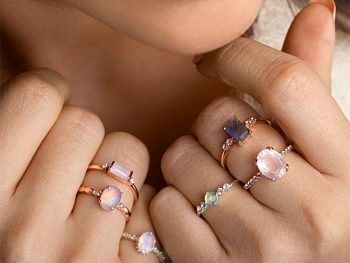 Each one has made an impression on the women who’ve worn them and those of us that continue to admire their enchanting beauty. Above: Platinum tiara made by Cartier in 1906. Salzburg, Austria. A temporary ban has been placed on the export of this heirloom coronet tiara that belonged to Queen Victoria. 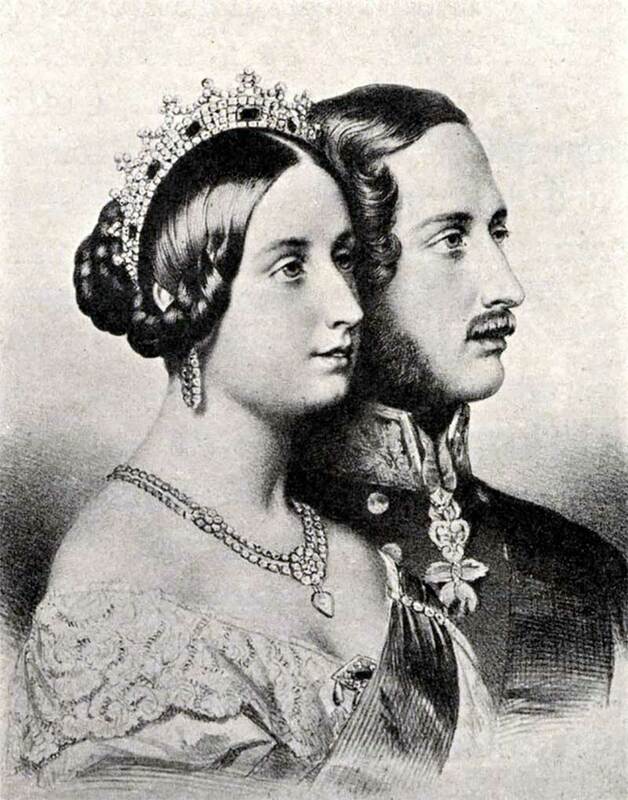 Prince Albert, the Queen’s beloved husband, designed the circular tiara especially for her. It features kite-shaped and cushions cut blue sapphires accented with white diamonds placed in a gothic trefoil pattern common of the period. The queen wore this small tiara throughout much of her life and also while mourning the loss of Prince Albert. Unlike other glitzy jewelry she owned, the queen continued to cherish the headpiece into her later years. 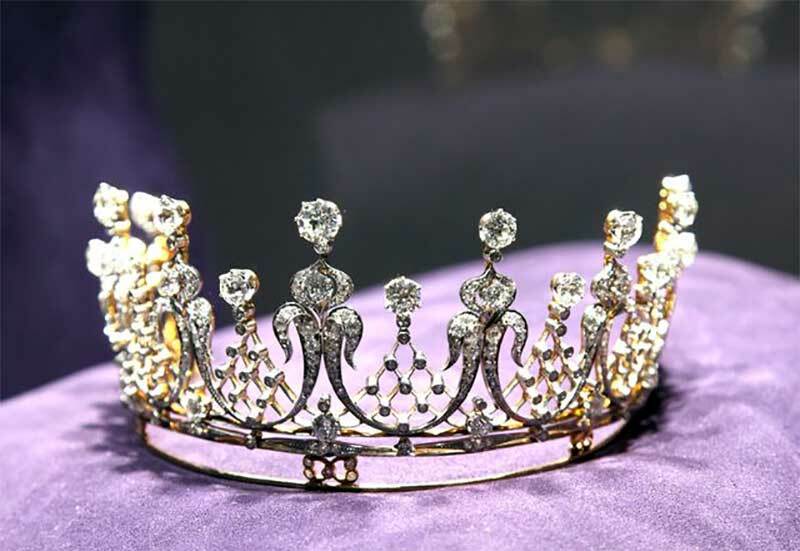 After her passing, the tiara went missing until it surfaced in the 1920’s on Princess Mary and then again throughout the years at various museum exhibits. At some point, the tiara left royal hands and was sold to a London dealer, but the exact time and terms of the sale are unknown. In August 2016, information came to light that the tiara was sold to an overseas buyer. The Culture Minister immediately insisted a temporary ban be placed to prevent the tiara from leaving the country since it is such an important part of the UK’s royal heritage. The country is currently seeking a UK buyer that can match other buyer’s price to ensure the tiara stays within its borders. The United Kingdom has a rich history of tiara-wearing with heirloom tiaras being passed down through the generations. Queen Elizabeth II has what is thought to be the largest collection of tiaras in the world, compiled of many headpieces inherited from the British Royal Family as well as from other royal families. Queen Elizabeth II’s Vladimir Tiara was made for Grand Duchess Maria Pavlovna, the wife of Grand Duke Vladimir Alexandrovich of Russia around 1874. After a revolution took place in 1917, Maria Pavlovna was advised to flee her palace, leaving her jewels and the tiara behind. Her son then devised a plan to take back the jewels. He snuck into the palace, retrieves the tiara and other jewelry from a safe in her bedroom and brings them to London. Because the tiara was badly damaged on its journey from Russia to London, the diadem had to eventually be altered. The tiara originally consisted of tear-drop pearls and diamonds that are uniquely set in interlocking circular shapes. After Maria’s death, her daughters sold the tiara to Queen Mary of the United Kingdom who sent the tiara to Garrard to make necessary repairs. The queen incorporated a set of heirloom emeralds and another set of pearls to make the tiara interchangeable. 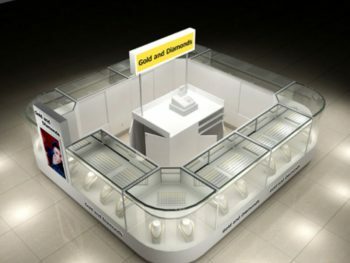 After Queen Mary’s death, her granddaughter, Queen Elizabeth II inherited the jewels. 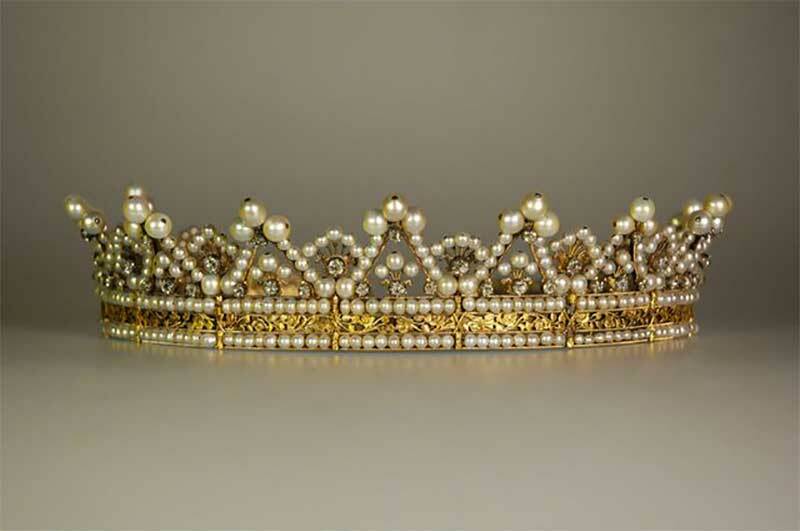 The diadem, as seen here, was on display in Buckingham Palace for the Queen’s 80th birthday. 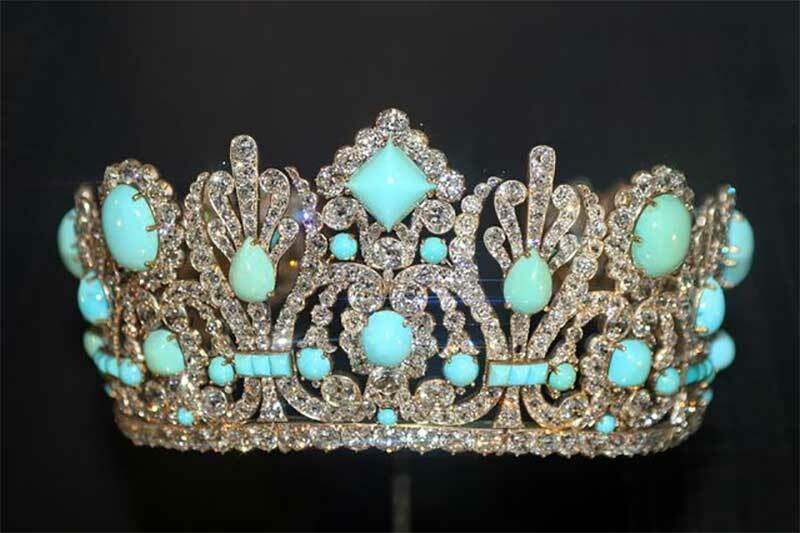 The Empress Joséphine Tiara was crafted by August Holmström of Fabergé in the late 1800’s and is seen here on display at the Houston Museum of Natural Science. The tiara gets its name from Empress Joséphine even though the lady died decades before the headpiece was crafted. Joséphine de Beauharnais was the first wife of Napoleon I until they divorced in 1810. After her divorce, Alexander I of Russia often visited her and presented her with various gifts like the briolette cut diamonds that ended up in this tiara. 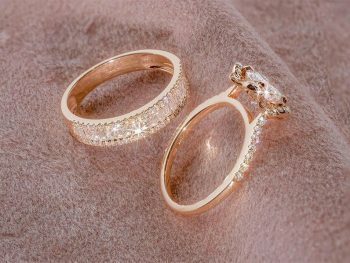 Her son Eugène de Beauharnais inherited the diamonds who then handed them down to his son, Prince Maximilian. He and his wife had the tiara crafted in 1890 where it remained in the family until it was sold to the Belgian royal family after World War I. 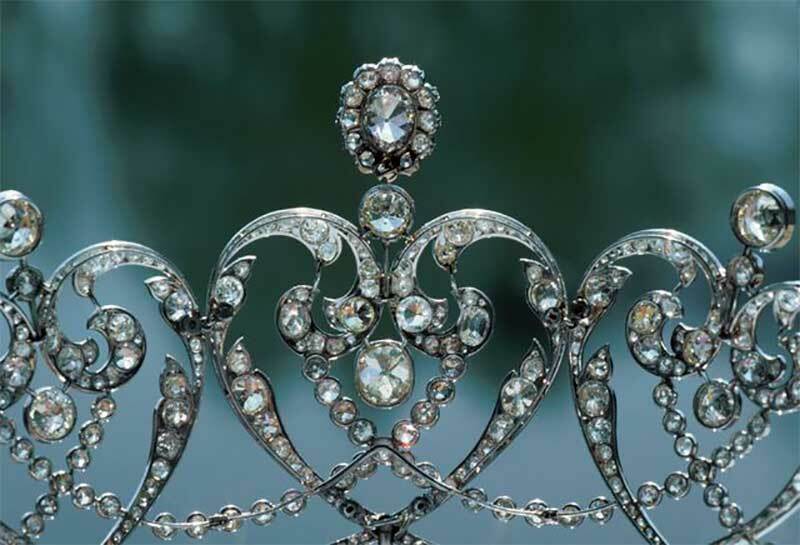 It wasn’t until this tiara hit the auction block for public sale that it became popular. The tiara was scarcely worn. 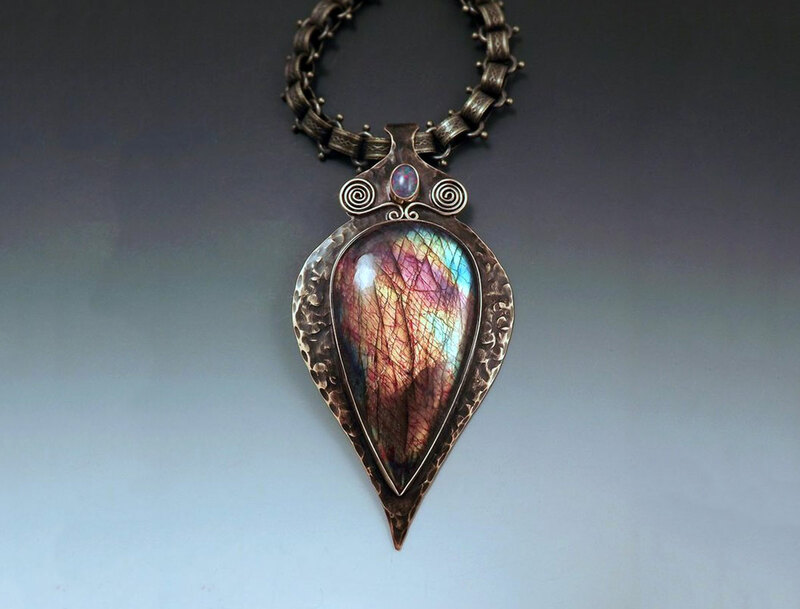 Despite its lack of fame, It was sold by Christie’s in 2007 for over $2 million due in large part to the Fabergé name and historical provenance. 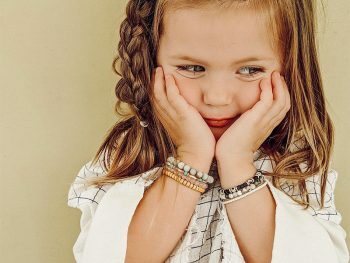 Well, known tiaras belonging to powerful royal families rarely come up for public sale, but when they do, it can be the cause of widespread gossip and finger-pointing. Such is the case for this tiara that belonged to Queen Elisabeth of Belgium. She passed the Cartier tiara down to her son, King Leopold III. He then gave the tiara to his second wife, Princess Lillian. After his passing, Lillian put the tiara up for sale without informing fellow family members, marking her as a villain to those that value heirlooms are staying in the family. 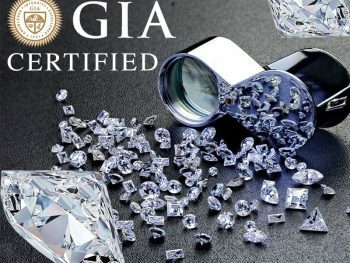 Subsequently, Cartier purchased the tiara and now had the gorgeous platinum piece as part of their permanent collection. 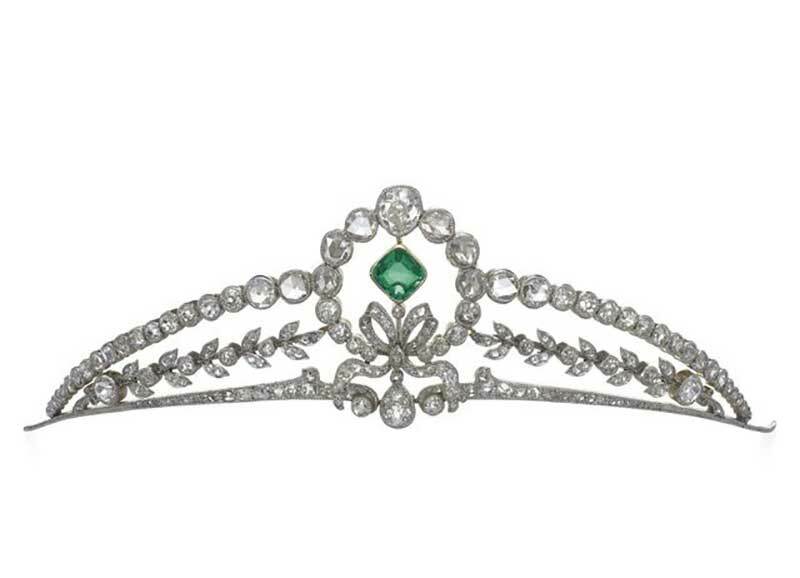 This emerald and diamond tiara from the early 1900’s became the most expensive tiara ever to be sold at auction when it sold at Sotheby’s Magnificent Jewels Sale in 2011. Before hitting the auction block, the tiara belonged to Katharina Henckel von Donnersmarck, wife of Guido Henckel von Donnersmarck and part of the second wealthiest family in Germany. The impeccable showpiece is thought to be the work of Chaumet using emeralds Guido purchased from Empress Eugénie of France. There are 11 emeralds in total weighing over 500 carats. 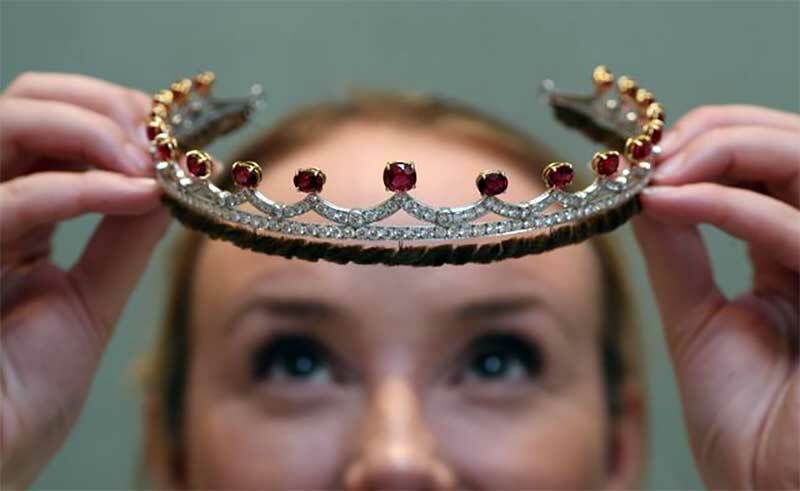 The tiara sold once before to a private undisclosed buyer in 1979 through a Sotheby’s auction. But history was again made in 2011 when it sold for a staggering $12.7 million. 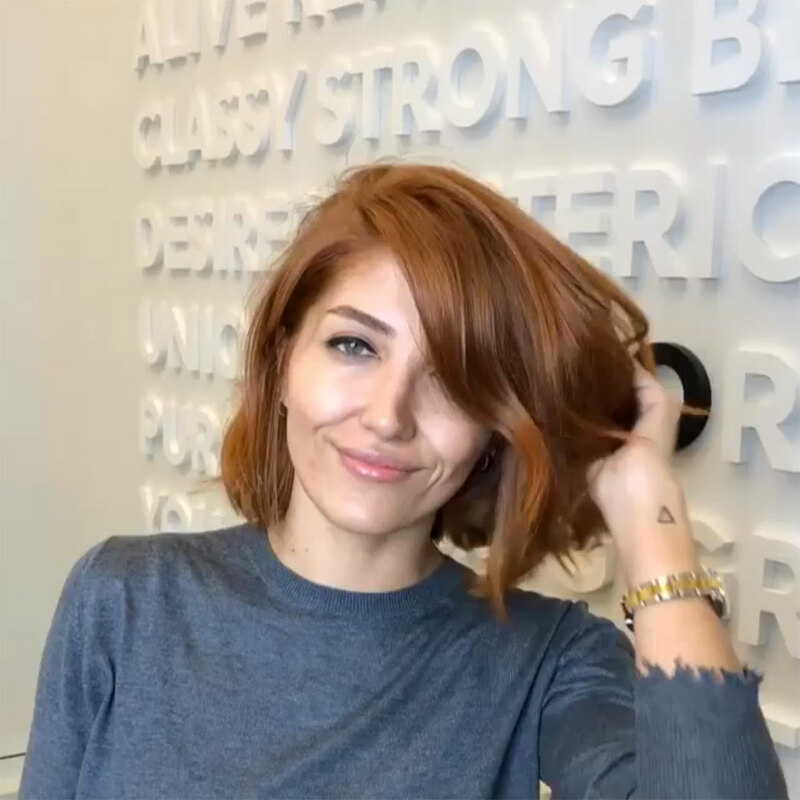 The new buyer’s identity is also unknown. This tiara was eventually matched with Princess Margaret but was originally made for Florence Bampfylde, Lady Poltimore in the 1870’s. The crown tiara, like many other tiaras, has a dual purpose. 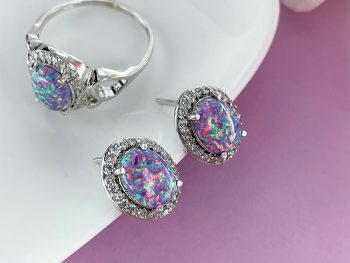 It can be worn either on the head or broken down into a necklace with matching bracelets. The tiara was sold in 1959 by Lady Poltimore’s grandson to Princess Margaret who went on to wear it to her wedding the following year. Though the princess owned numerous tiaras, this was her most prized and the one she was most often photographed wearing. After her passing in 2002, her heirs decided to sell the tiara in 2006. 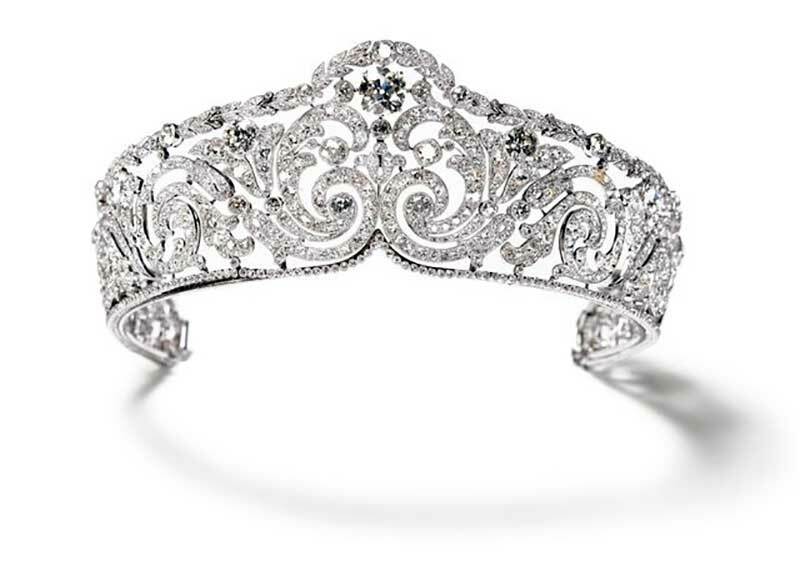 The high auction estimate at Christie’s was $350,000, but it ended up selling for $1.7 million, showcasing just how much collector’s want to own iconic tiaras. The Marie-Louise Diadem was part of a set commissioned by Napoleon I for his second wife, Empress Marie-Louise. The parure was made by Etienne Nitot et Fils in 1810 and consisted of a necklace, comb, belt buckle, and earrings. 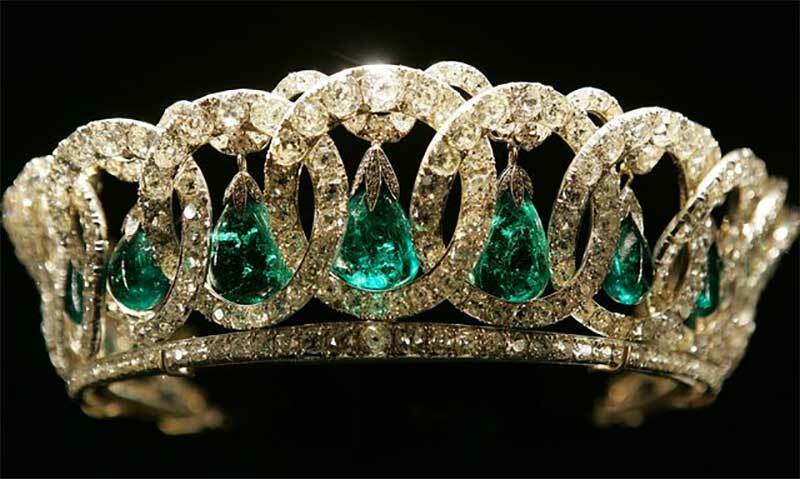 The tiara originally included 79 emeralds and over 1,000 diamonds. Despite the rest of the set being separated, the tiara remained in family hands until it was sold to Van Cleef & Arpels in 1953. 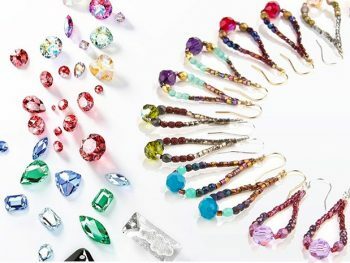 In an attempt to make a profit, the jewelry company removed all the original emeralds and replaced them with turquoise. The emeralds were sold off as part of individual jewelry pieces, which is now a highly contested decision. Jewelry collector Marjorie Merriweather Post purchased the altered diadem and eventually donated it to the Smithsonian in 1971. Not all tiaras that come up for sale have a royal provenance. 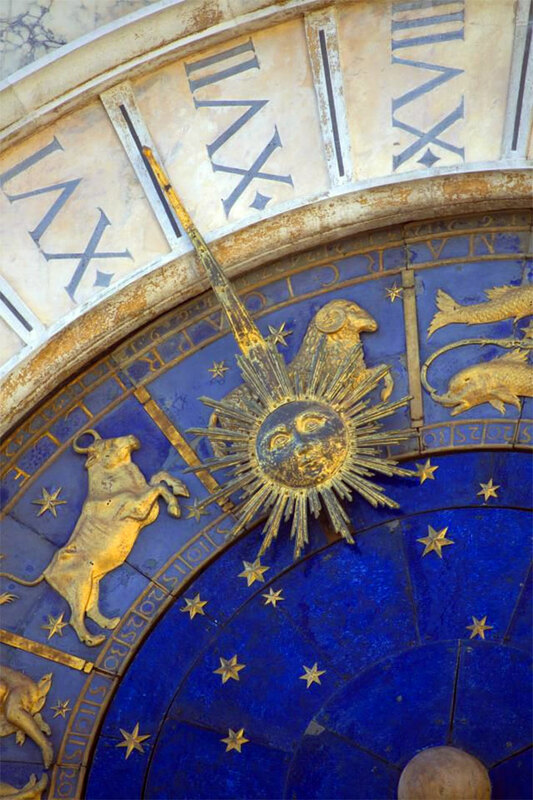 The only history some diadems have is with the jewelry company that laboriously crafted it. Such is the case with this elegant Belle Epoque beauty that sold at Sotheby’s in 2012. The tiara was made by German jewelry firm Koch in the early 1900’s. The bow and foliate design on this dainty tiara are in keeping the time period’s natural aesthetic. This leafy early Victorian tiara was made by Hunt and Roskell in the mid-1850’s. 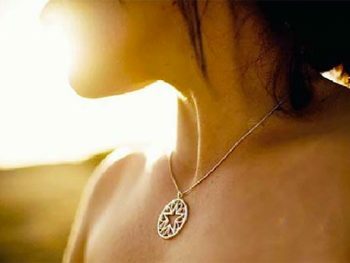 The oak-leaf was a popular motif symbolizing patience, longevity, and endurance. Elizabeth Taylor was a jewelry icon of our time. Her longtime lover and husband, Mike Todd purchased the tiara for her for no other reason than to shower her with affection. Taylor spoke of the tiara in her book, A Life in Jewelry, “When [Mike Todd] gave me this tiara, he said, ‘You’re my queen, and I think you should have a tiara,’ … I wore it for the first time when we went to the Academy Awards. 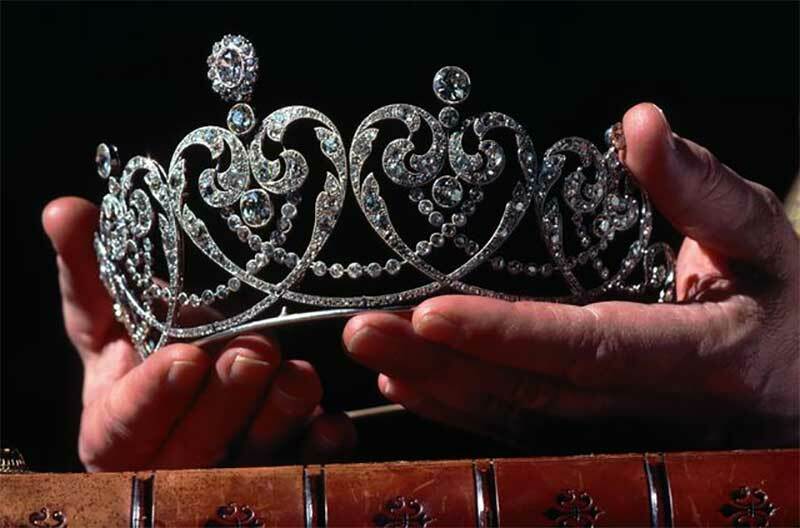 This tiara tells another debated tale about selling off the precious family heirlooms. The tiara was originally made for Stéphanie de Beauharnais, Grand Duchess of Baden around 1830. The Duchess passed down the tiara to her granddaughter, Crown Princess Carola of Saxony. Since she never had children, the princess passed the tiara down to her cousin, Princess Marie of Hohenzollern-Sigmaringen who was a member of the Belgian royal family. It was then given to her granddaughter, Princess Marie José in 1924. She had the tiara lengthened to be worn as a bandeau which was a popular style during the Art Deco era. Marie eventually married into the Italian royal family and passed the tiara down to her daughter, Maria Gabriella of Savoy. 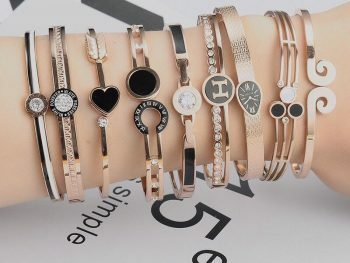 Maria ended up selling many of her mother’s jewels in 2007. 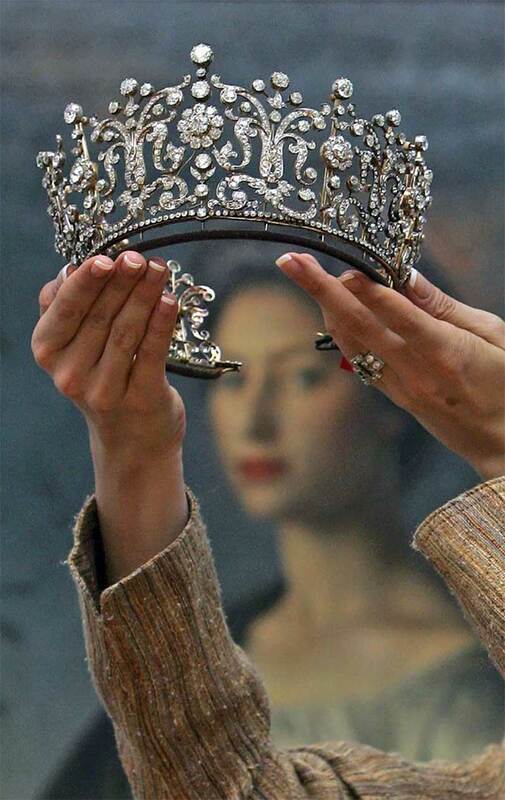 Luckily, the German state of Baden-Württemberg purchased the tiara, and it is currently on permanent display at Schloss Mannheim, bringing the diadem full circle and back to its original place. 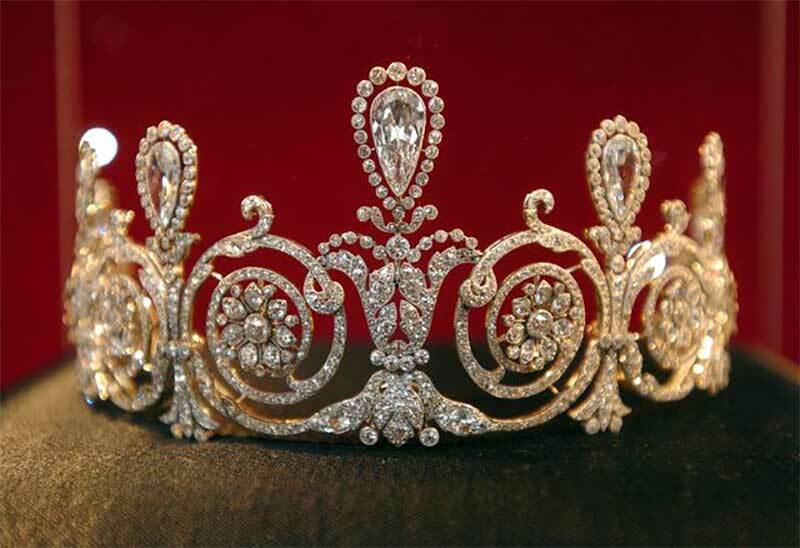 This tiara crafted by Cartier was on display for Cartier’s 25th Anniversary of the Beloved Holiday Bow Celebration in NYC. Antique Diamond Tiaras: Pearl and Diamond Tiara at the Louvre. 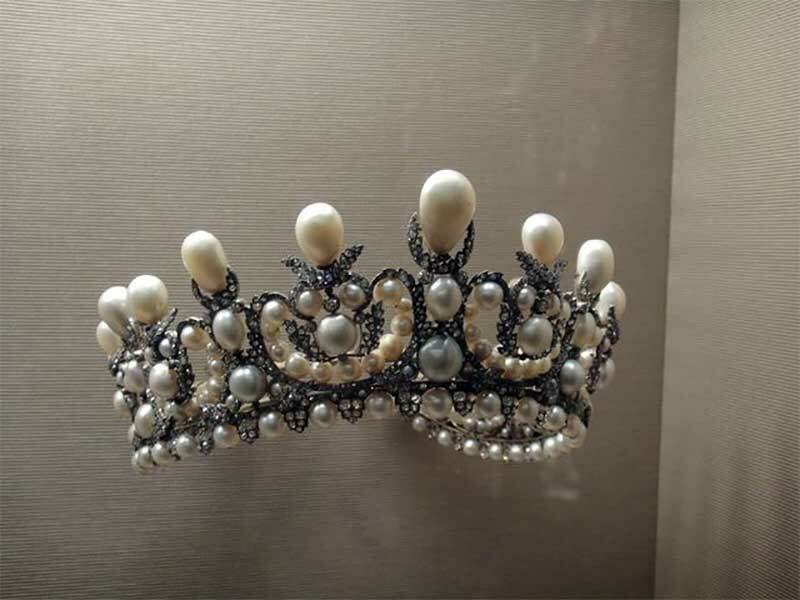 This antique pearl and diamond tiara is on display at The Louvre Museum in Paris France. Antique Diamond Tiaras: Pearl and Diamond Tiara at the Louvre – via Flickr. This platinum tiara was made by Cartier jewelers in 1906 and is seen here on display at an exhibit in Salzburg, Austria. 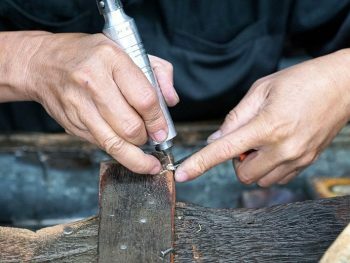 Diamond Tiaras Fit for a Queen: Staff Prepare Jewelry At Garrard, The Oldest Jewellers In The World – Oli Scarff. 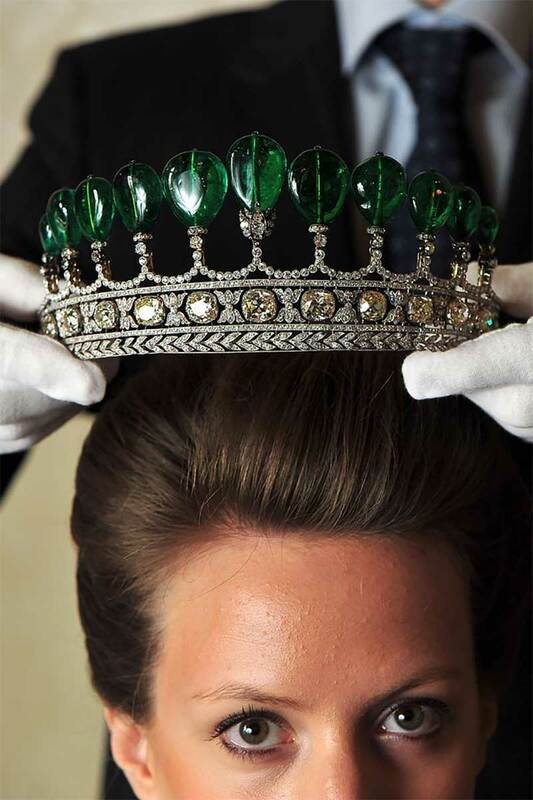 This modern-day tiara was made by Garrard and was on display at their flagship store in Mayfair. 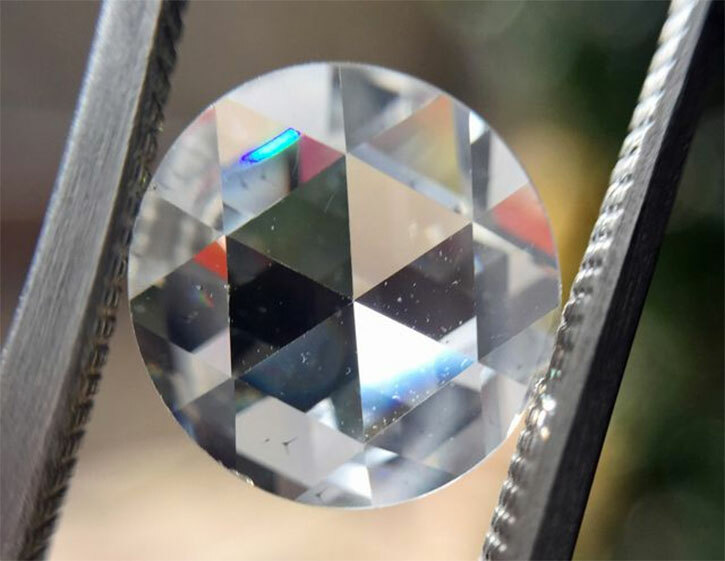 Previous Post: « What Does Calibré Cut Mean?